The mentoring programme for science journalists from Africa and the Arab World Sj COOP was a very successful programme of the Word Federation of Science Journalists WFSJ. The first version started with a training of the mentors early July 2006 in advance of the EuroScience Open Forum ESOF Munich 2006, organised by TELI. 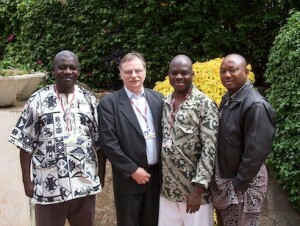 Neubert was one of the Mentors for science journalists from African English language countries. One of the most successful participants of the programme, which ended in March 2009, was Neubert’s mentee Augustine Alexander Abutu. The technical report of the first SjCOOP-project van be downloaded here.